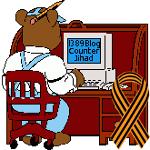 Caturday: Maru Introduces Himself — 1389 Blog - Counterjihad! The family cat, a volunteer fire fighter and a miracle — that’s what a Brockport woman says saved her nine-year-old grandson. Their house caught fire this morning. Her 12-year-old daughter made it out okay but the nine-year-old was trapped inside. Monday morning, Linda Pearl when went to an early morning doctors appointment she left her 12-year-old daughter and her nine-year-old grandson at home. She intended to be gone only 30 minutes but what happened in the next half hour left the family homeless and sent her grandson to the hospital. Kendran is at Strong Hospital. His grandmother says he suffered smoke inhalation, but was breathing and feeling better this afternoon. The Red Cross is assisting the family with food and shelter but Pearl says she’s not sure what they will do tomorrow.